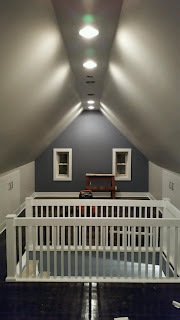 One of the projects I have been working on lately is an attic home office. 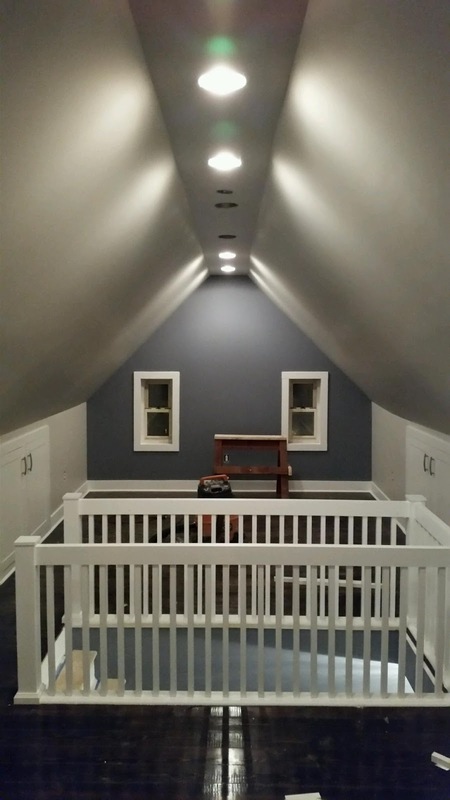 My clients decided to renovate a decent size half-finished attic to use it as a shared office for her and him as well as a music lounge area. 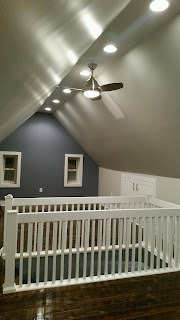 The photo below shows the attic before the renovation with a low ceiling and poor lighting. 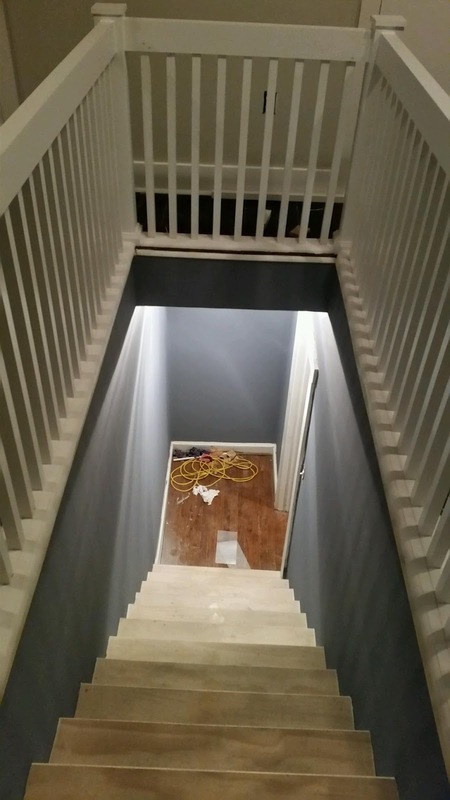 There was no insulation which made it impossible to use the area all year long. 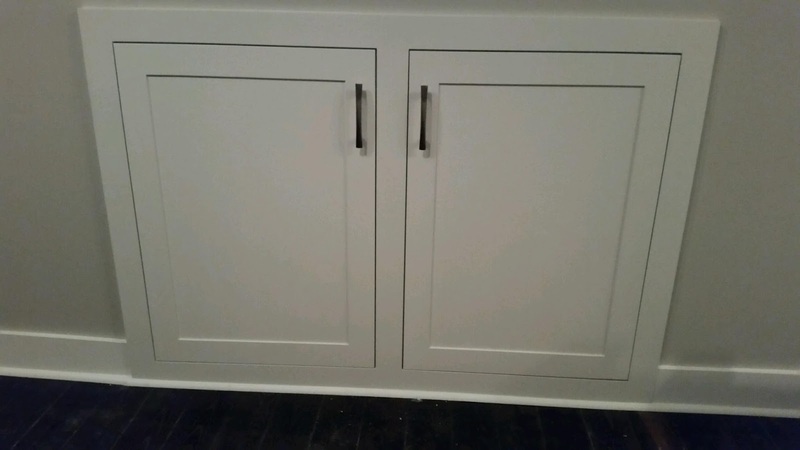 Free space behind the knee walls was used to build spacious storage units with stylish cabinet doors. 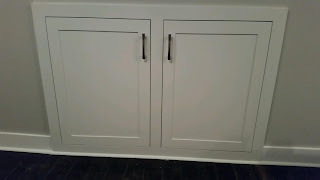 All doors, trims and window casements were painted white. 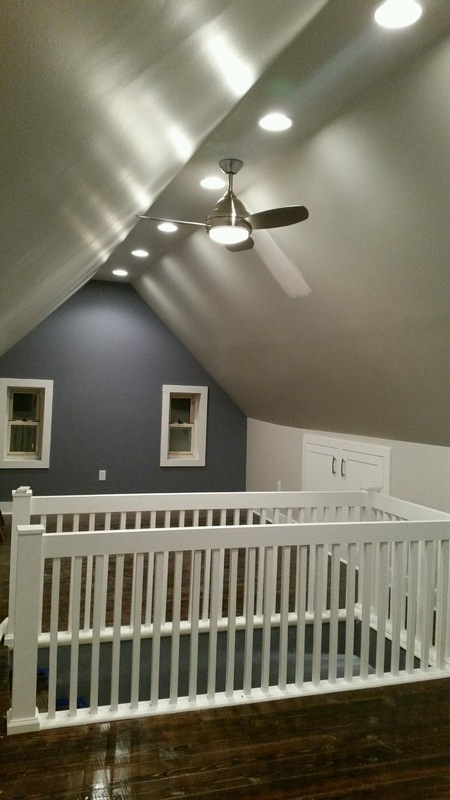 Walls and ceiling painted in light gray while both gable walls were treated as accent walls and painted in a darker shade of blue/gray. Construction phase of the project is finished. Now on to the furnishing and accessorizing. We will be using mostly office furniture from IKEA, which is a great deal for the quality you get. I will keep you posted.